Los Angeles is certainly not known for its variety of seasons, but we have gotten a few fall-feeling days sprinkled in throughout our usual 90-degree weather. I take full advantage of these days, in this case with my latest fall blazer find by Petite Studio! 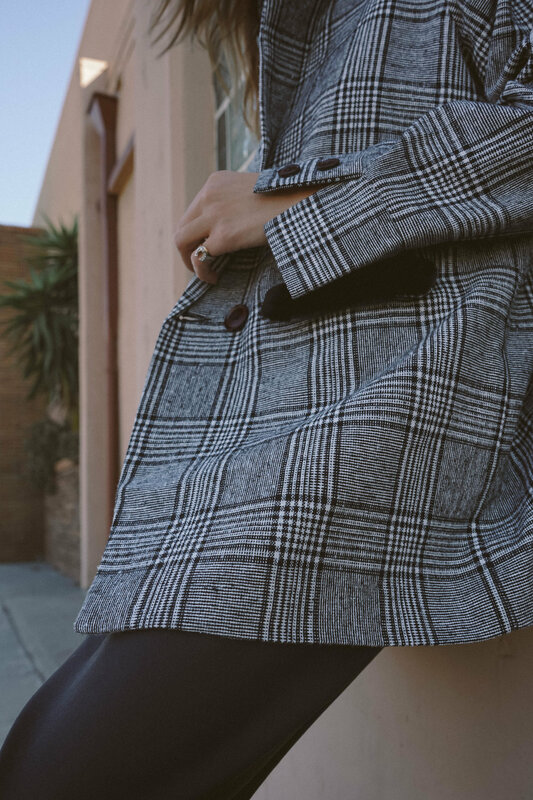 I am just so obsessed with the plaid blazer trend right now, and this one is extra special with its oversized, boxy fit and the cutest little fuzzy details on the pockets and collar! It kind of brings me back to my Limited Too days of the early 2000's, in the best kind of way.